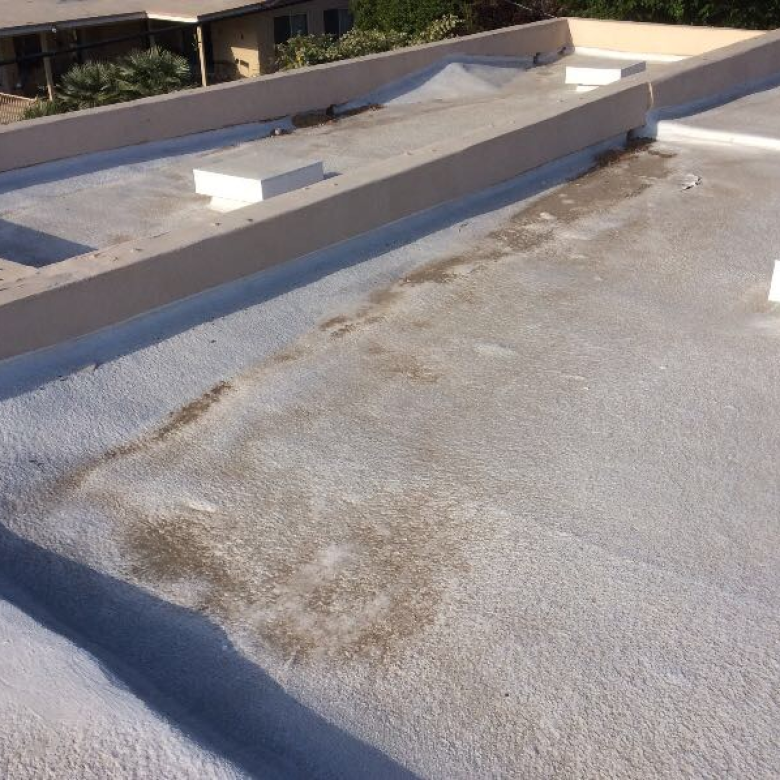 Ponding is a common phenomenon on flat roofs, one that can end up causing a lot of damage, both to the roof and its underlying structural elements. As its name would imply, ponding involves the unwanted accumulation of standing water. The longer such water is allowed to remain on a roof, the greater the chances that it will find a way to penetrate beneath its protective outer layers. Skylights represent an especially attractive target for ponding. Their elevated walls give water the perfect place to hide, while the joints between the flashing and the roof are especially vulnerable to water intrusion. Worse still, leaves, twigs, and other detritus tend to accumulate around those walls, where they absorb and retain water. Fortunately, a competent roofing contractor is more than capable of eliminating such problems. 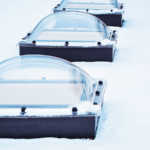 This article will explore three different tactics used in preventing ponding around skylights. 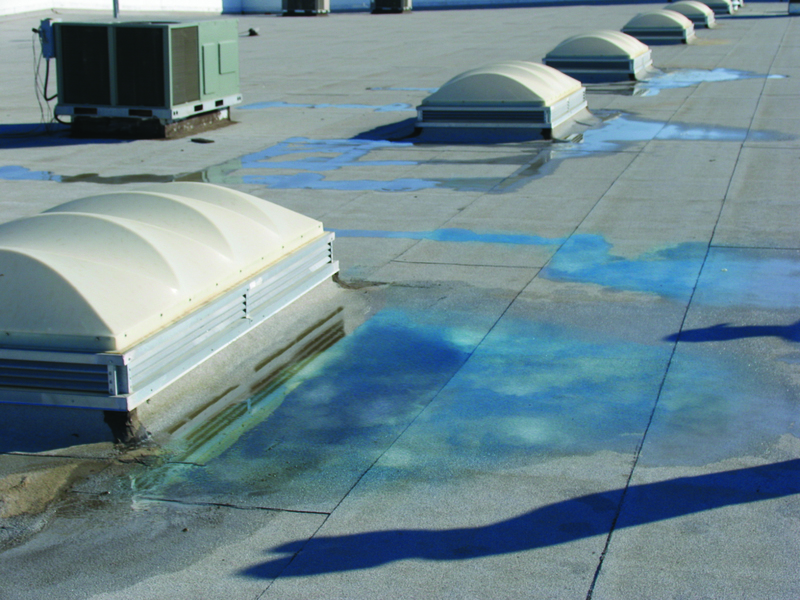 Assess the roof for non-structural causes of the ponding. It is always best to begin with the simplest solution to the problem. In the case of ponding water, that generally means checking for drains that have become blocked with debris. Whether caused by leaves, animal carcasses, or other foreign objects, blocked drains are at the root of the majority of flat roof ponding. Thus, a roofing contractor will most likely begin by giving your roof’s drains a thorough inspection. 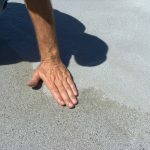 Ponding also often occurs not as the result of any inherent structural deficiency but as the result of excessive amounts of water constantly finding their way onto the roof. Air conditioners are the prime culprit here–especially those installed on larger commercial properties. Should the lines used to drain condensate from those air conditioners develop holes, become detached, or spring a leak, the result will be recurring ponding. Even if no puddles are currently visible, persistent damp spots may attest to this problem. Flat roofs are generally installed on top of insulation used to promote better energy efficiency. Unfortunately, this insulation has a tendency to become damaged over time, with exposure to water and excessive foot traffic being two of the most common causes. Both of these things will cause the insulation to become compressed. This leads the formation of a dent in the roofing–a dent that will likely lead to ponding the very next time it rains. The good news is that it is possible to repair such declivities without taking up the entire roofing membrane to expose the damaged insulation. Instead, once any water has been thoroughly drained from the ponding area, some products can be used to restore a level surface. They are generally a type of thick asphalt-based material that also contains fiberglass and other filler substances. It can be used to elevate depressions by as much as 2 inches in height. Anything deeper than this generally has to be addressed by means of repairs to the underlying structural elements. Install crickets around the skylight. No matter how level your flat roof, the walls around skylights will always provide a convenient place for water to pond. Fortunately, you can promote proper drainage by requesting that your roofing contractor install crickets around the skylight. Also known as roofing saddles, crickets are triangular wedges covered with some sort of waterproof material. Installed along the edges of a skylight, they ensure that, as water courses off of the skylight, it will not accumulate at the base of its walls. Crickets are also a great way to ensure that roof debris does not accumulate around your skylight. They are equally useful for any structures that protrude up from the surface of your roof, whether chimneys, plumbing vents, or air conditioners. 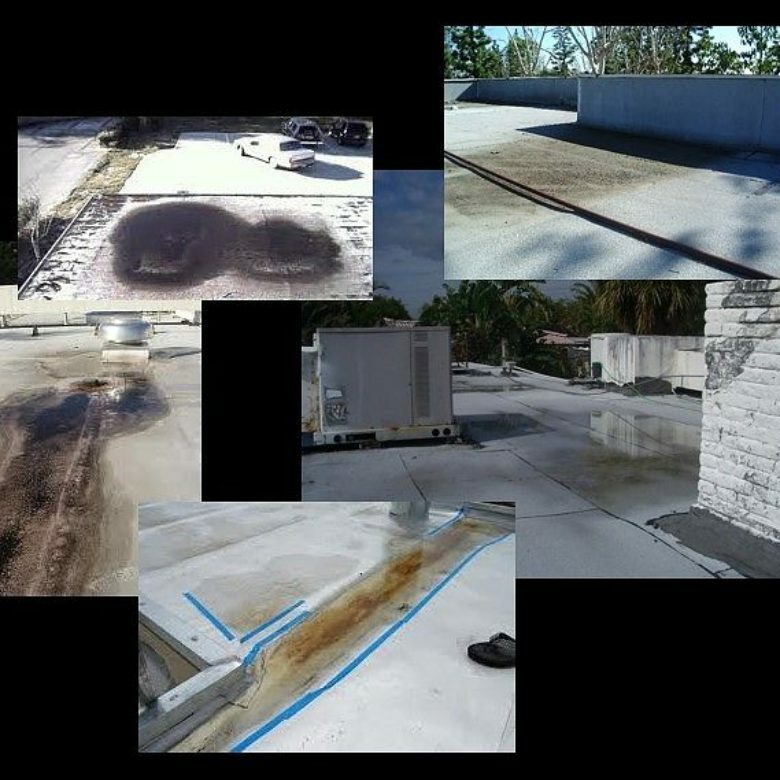 If you own a flat roofed building with skylights, and would like to learn more about how to protect against unwanted water damage, please do not hesitate to contact the experts at RoofSlope.